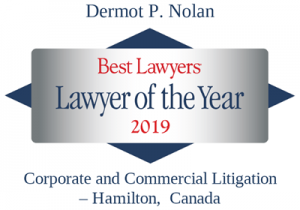 Nolan, Ciarlo LLP’s senior partner, Dermot P. Nolan was recently recognized by Best Lawyers as the 2019 “Lawyer of the Year” for Corporate and Commercial Litigation in the Hamilton area. 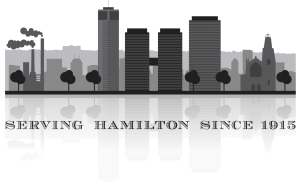 Only a single lawyer in each practice area and designated metropolitan area is honored as the “Lawyer of the Year”. The Lawyer of the Year is selected based on singularly impressive voting averages received during peer review assessments of ability, professionalism and integrity. In addition to his recognition as the “Lawyer of the Year” in Corporate & Commercial Litigation, Mr. Nolan has also been recognized in the 2019 Edition of The Best Lawyers in Canada in the Personal Injury Litigation practice area.